SSG&apos;s gloves for hope feature soft cabretta leather and spandex gussets. Designed for comfort, fit and performance. 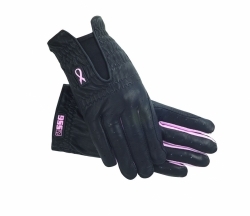 Gloves come in 2 styles: Black or White with Pink gussets for appearance and style; and Black or White with matching gussets for judged performance.